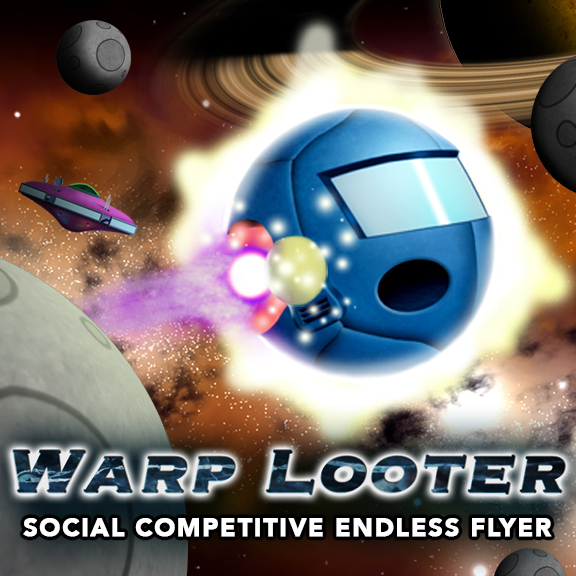 Warp Looter is a competitive, social, endless flyer. Fly through galaxies filling up your warp meter. Make sure it’s full before things get too crazy so you can escape. Upgrade your ship, unlock new technologies, and beat your friends: both for the bonuses AND the bragging rights.